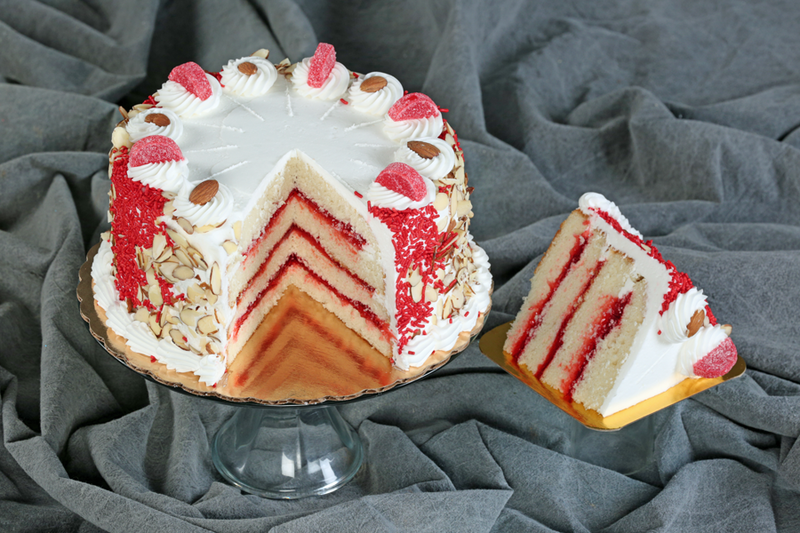 (8″ serves app 12) Four layers of UltramoistTM almond cake with three layers of sweet raspberry filling. Frosted in buttercream; decorated with almond slices and red chocolate sprinkles. (8" serves app 12) Four layers of slightly tart blue UltramoistTM cake filled with our handmade champagne filling (no alcohol); frosted in vanilla whip and finished in blue and white chocolate sprinkles.